This remix video first appeared on U2’s single for “Numb” which was released as a video only single worldwide. 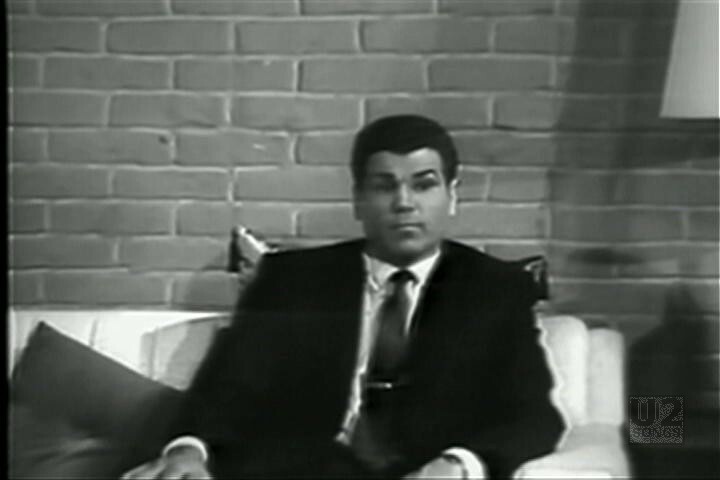 This video featured a remix of the song, done by Emergency Broadcast Network, and featured a number of clips from old video footage to add additional songs to the mix. The video opens with a variety of quick video clips, including clips from the USO Comedy Tour, a game show asking what is “a terrible thing to waste”?, Rep. John Kasich on C-Span live, and a logo for EBN among others. The first extended video clip from the old Ed Wood film, “The Sinister Urge” with a man and a woman discussing a product that the high school kids haven’t been happy with. 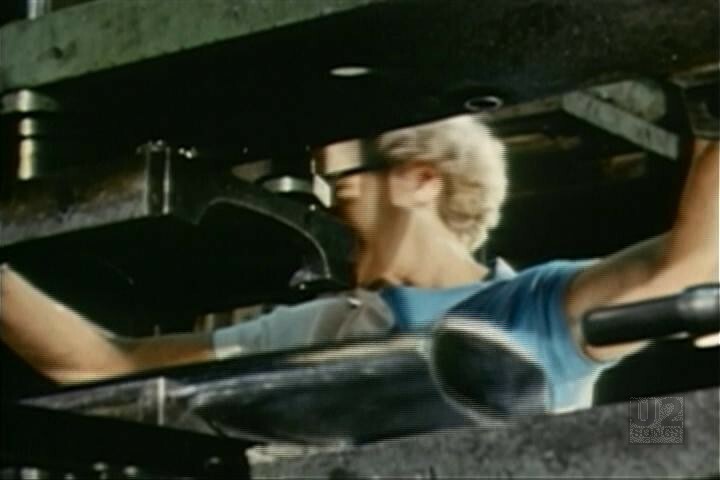 The next extendeded clip is female life guards performing CPR on a beach, and then footage of a female factory worker putting machinery together in a plant. 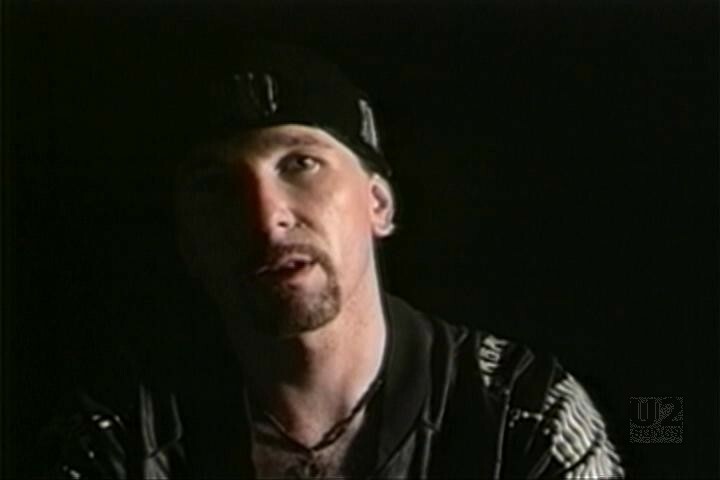 The video also uses footage of the Edge sitting in a studio performing the song. Although filmed the same day as the Numb video, this footage does not have The Edge putting up with distractions. 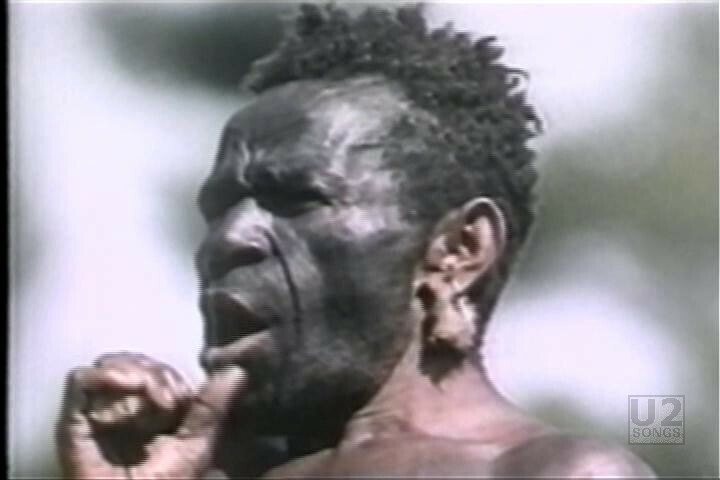 The video mixes the various footage in tune to the song, and uses actual audio from these clips to mix into the sound of the song – soldiers barking, industrial machinery working etc. The remix also includes a sample from Public Enemy’s video for “Don’t Believe the Hype”. 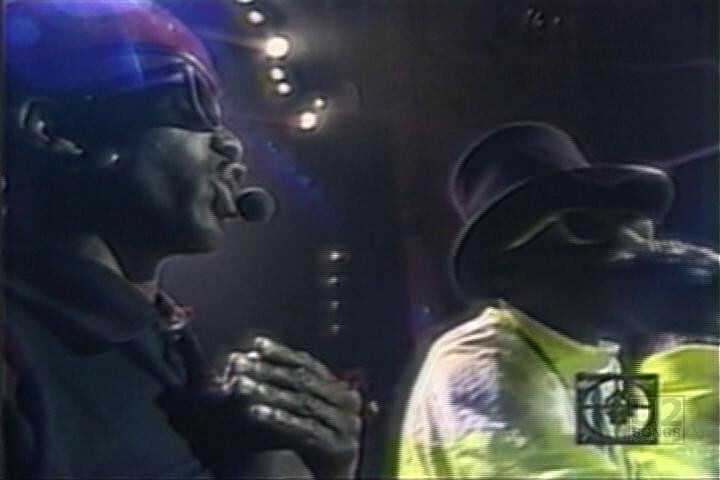 The group Emergency Broadcast Network was a multimedia performance group that was signed to TVT records. They were responsible for the video of clips cut together to make it look like President George H.W. Bush was singing “We Will Rock You” which was used at the beginning of the Zoo TV tour prior to the band taking the stage (and also released as a single called “Behavior Modification”. 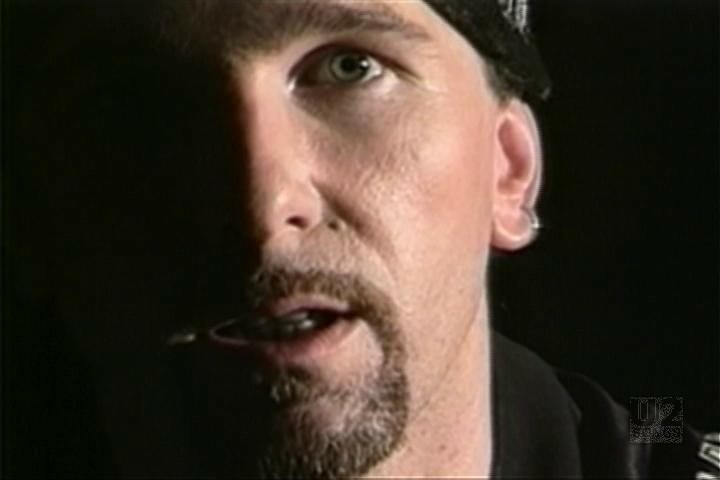 Footage from the groups remix of “Numb” would also be used as backing videos while the Edge performed this song on the Zoo TV tour. The video remix was first released on the commercial video single for the song “Numb”.